Well, there have been cases when users lose their data. And these include incidents when users lose their WhatsApp data as well. And in such cases, users do not have a clue as to where they should seek for help. Well, at such times GT Recovery comes in handy to retrieve data. It can be used for various different apps such as GT messenger recovery. But for now, our main concern is how to use this tool to recover WhatsApp deleted message. WhatsApp. Let us have a look then. How to Use GT Recovery To Recover WhatsApp on Android? Before we began to explain, you should remember that in order to use this tool, you must root your Android device. If your Android device is not rooted, then this tool will not work. Let us now see how to use GT recovery for WhatsApp. First of all, as stated earlier, make sure your device is rooted. Next, download and install the GT recovery app from the Google Play Store. Here again, GT app will remind you to root your device if it has not been rooted. In addition to this, if your device has been rooted but you have not given the app superuser rights, the tool will remind you of that as well. As soon as you give the superuser rights, a home screen will be shown to you. You will be given various options as to what you need to select to retrieve. Among all the options provided, you will need to select the "Recover WhatsApp" option to recover WhatsApp. As soon as you click the option, the tool will analyze the device automatically and will recover all data for your WhatsApp account including your deleted text messages. After completion, the deleted data will be visible in your WhatsApp account. The only drawback of this tool is you need to root your device. Even though rooting of the device grants you some benefits, it has a certain set of disadvantages as well. If your device is in warranty period, you may lose it once you root the device. Hence, it is advised to use an alternate method for WhatsApp messages recovery for Android phone. There is always an alternative solution for every problem. Hence, if you need to recover your WhatsApp, you can always use Tenorshare Android Data Recovery. The main advantage of the software over the Tenorshare Android Data Recovery is that it removes the obligation to root your android device. Hence, the fear of losing the warranty of your device is eliminated the moment you opt for this tool. In addition to this, the tool covers a wide range of scenarios in which there are chances of data loss such as accidental deletion, water damage, screen broken, factory reset, system root, and OS crash. The tool guarantees the recovery of data in any of the above mentioned situations. Adding more to the list of advantages of this tool, it is easy to use and user does not gets confused while using this tool. And hence, this is the whole reason as to why this tool is so well-liked among the users. In order to retrieve WhatsApp deleted messages, follow the below given steps. 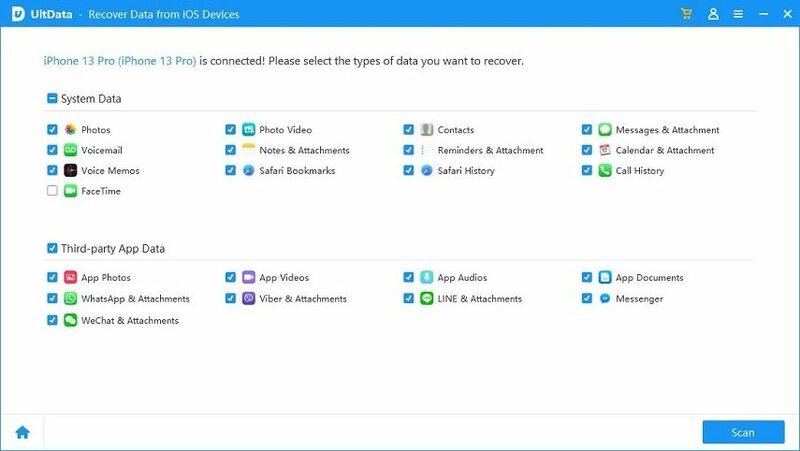 Step 1: Download and install Android Data Recovery on your computer, launch the program and connect your device to PC. Step 2: Then follow the on-screen guide to enable USB debugging. Step 3: Now select the files type and click "Next" to scan your device. Step 4: You can preview the files within your Android phone after scanning. Choose the items you want and click "Recover" to get them back. Long story short, all you saw is how you can use GT Recovery software when in need and its best alternative Tenorshare Android Data Recovery. Before going, do not forget to mention your thoughts on this article. Did you like it? Was it helpful? Then let us know your feedback. You can do by commenting below.